How does God provide guidance for mankind and show the right path and prove the truthfulness of his messengers and prophets? 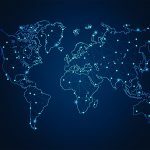 Throughout religious history, God has established a means to guide mankind to the correct path that they must follow, in addition to sending divine messages to the various prophets over time like Judaism, Christianity and also Islam. All three faiths believe that their scriptures are divinely sent down to guide mankind in the matters of moral, ethical and spiritual teaching, and that they enable humankind to recognise Almighty God through His divine teachings. But one may ask: which of these faiths today is the faith which is sanctioned by Almighty God? And how can we be sure that what all these faiths are saying is correct? As all claim to have been sanctioned by Almighty God, how can we tell which one is actually endorsed by Almighty God, especially since all of these faiths believe that they can present arguments from their scriptures to support their claims. 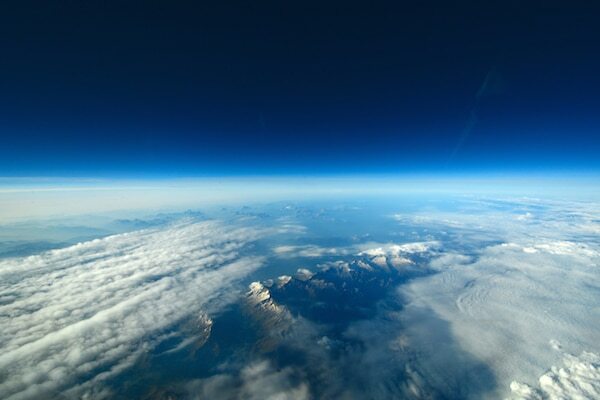 The purpose of this article is not to go into the complex theologies of these faiths; rather, it is to focus on one aspect which is fundamental to establishing the truth of prophets of God: celestial signs. 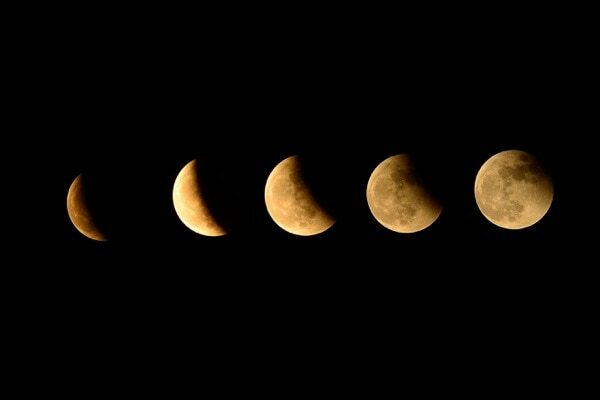 The stages of a lunar eclipse. Blood moons are total lunar eclipses. Before we delve deeply into blood moon theories, we should answer the question: what is a blood moon? Put simply, a blood moon is a total lunar eclipse. But the blood moon theory doesn’t cover any lunar eclipse. Rather, it covers a lunar tetrad: when there are four successive complete lunar eclipses (that is, with no partial lunar eclipses in between these four total eclipses), and each eclipse is separated by six lunar months. The final component in the theory is that this lunar tetrad should fall on Jewish festival days. In recent times, blood moons have been discussed mostly in the evangelical world, both on social media and through conventional media outlets. Many major newspapers published stories on the blood moon theory, causing excitement about these theories. More importantly this produced a theological debate throughout the academic world, not just in the Christian world but also in Islamic and secular circles. Generally, the secular world simply laughed the theory off, putting it down to another judgement day scare by crazy Christian evangelists. However, prominent evangelists believed that in 2014-2015 something major was about to happen that would shake the world. Some notable pastors believed that the blood moon’s cycle seemed to suggest signs of an impending historical event. For example, some believed it to herald the second coming of Jesusas; others believed it to be a warning of a world war or an attack on Israel; and some leading evangelists thought that that these blood moons were related to Israel. These Christians understand blood moons to be signs which will demonstrate that something is going to happen in the world, and that they are God’s way of warning humankind when He is not happy with it. They can also be signs showing the truthfulness of some person or some nation. 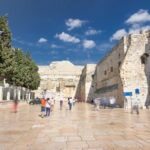 In this case, scholars, such as pastor John Hagee, believe they are signs either in support of Israel or warning Israel about some harm coming its way. These scholars point to the history of blood moon cycles, which occurred in the following years: 1493-94, 1949-50, 1967-68, and most recently in 2014-2015. What is distinctive about these four cycles in particular is that all the blood moons fell on the days of Jewish festivals. To illustrate: we see that the eclipse of 15th April 2014 fell on Passover; that of 8th October 2014 fell on Sukkkot, or the Feast of Tabernacles. The same pattern repeated itself in 2015: on 4th April, there was a total lunar eclipse that fell on Passover, and on 28th September, the eclipse fell on the Feast of Tabernacles. Due to the timing of these eclipses, pastor John Hagee believes that they are connected to Israel. This theory is not original to pastor Hagee; rather, pastor Mark Biltz is the originator of the blood moon theory. Biltz’s theory inspired Hagee to research blood moons and he found himself in agreement with Biltz’s argument. He went on to inform the world of the impending blood moons and highlighted that the cycle would end when the fourth series of blood moons happened on 28th September, 2015. He believed that something important was going to happen which would change the history of mankind. Indeed, Biltz predicted that at the end of the series of blood moons, the second coming of Christ might happen. The idea of a “blood moon” serving as an omen of the coming of the end times comes from the Book of Joel. Many predicted the second coming of Jesus to occur in 2015 but when the prediction failed, articles and blog posts on the Internet were deleted by the authors. So What Happened? Where is Jesusas? One interesting observation about the recent tetrad of blood moons is that the events supposedly “predicted” by them all happened before the blood moons even appeared! In other words, they failed to actually be a sign of anything, whereas the whole point was that the blood moons were supposed to appear before a significant event, as an indication that something was about to happen. 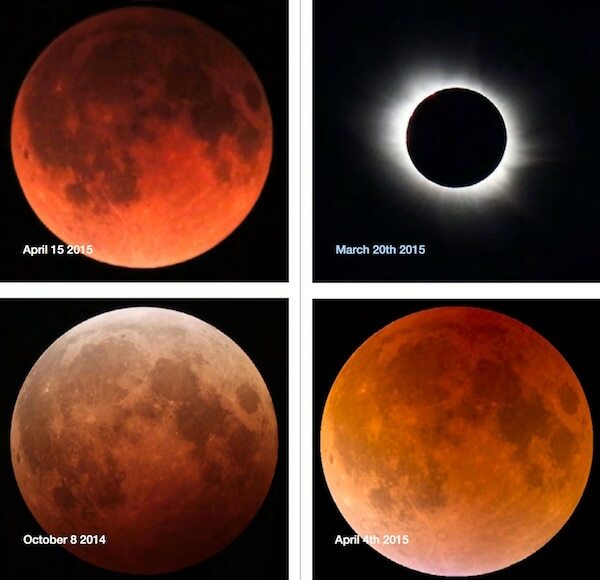 Therefore, we should have observed a historically significant event unfolding after the occurrence of blood moons. Mark Hitchcock, in his book Blood Moons Rising, noted that the first three cycles of blood moons all happened after historical events attached to them; so it seems hard to consider them to be signs for a historical event! John Hagee suggested in his book Four Blood Moons: Something is About to Change that the blood moons of 1493-1494 were connected to the expulsion of the Jews from Spain. Yet the expulsion happened a year earlier, in 1492. In other words, the expulsion had already taken place—how could the blood moons of 1493-1494 then been a sign? So pastor Hagee’s objective was not fulfilled by citing this example. Again: the Jews were expelled in 1492, so the appearance of the blood moons in 1493 could not be a sign of the expulsion. Moreover, there was no historical event in 1493 to 1494 which was attached to any of the blood moon occurrences. Therefore, the argument presented by pastor Hagee was unsuccessful. In addition, it also puts into question his premises with regards to blood moons being signs for Israel or signs that Jesusas is about to appear or that a historically significant event is about to happen. The reason I have touched upon blood moons is that during the whole of 2015 and even 2014, Christian evangelists were preaching hard about the blood moons, that would happen in 2015 and that these were signs of something big about to happen! Indeed, many groups handed out leaflets that Jesusas was about to come and that the blood moons were a warning to mankind. But sadly all these forecasts came to nothing and these same Christians, who were promoting this idea, have now simply gone quiet. 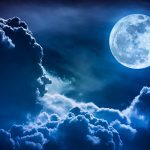 But an important issue that has risen from the discussion of blood moons is, the one thing I agree with is, that Almighty God does use celestial signs as a means to announce the truthfulness of a person who claims to have been sent by Him for the purpose of guiding mankind towards Almighty God. The other thing that I agree with John Hagee about is that there are celestial signs prophesised about the second coming of Jesusas and that one of the signs was given by Jesusas himself, which would be a sign declaring that his second advent has happened. And interestingly, not only did Jesusas mention this, but the Holy Prophet of Islamsa also mentioned that there would be celestial signs of a lunar and solar eclipse, confirming the arrival of a prophet of God. And that would be a Messiah who would be a follower of the Holy Prophetsa who would be raised from among the Ummah (nation) of the Holy Prophetsa. With regards to Jesusas, he made it clear he would not be returning, but someone else would appear in his name and likeness, and there would be an eclipse of the moon and sun, which would be a heavenly sign confirming the advent of the Messiah who he called the son of man. Now this is important because we find in the New Testament that when Jesusas was asked about his second advent, he made it clear that he would not be returning, but that someone else will come in his name. What we find in Matthew 23:39 is that in fact, verses 37-38 establish the possible reasons why the second advent would happen in another dispensation. We also learn that the second advent of the Messiah would not happen within the dispensation of Judaism, but from a new dispensation, which of course Muslims believe to be the dispensation of the Holy Prophetsa, signifying that the second advent of the Messiah would come from a within a new faith: the faith of Islam. What we find is that both Jesusas and the Holy Prophet of Islam, Muhammadsa, gave very clear prophecies about how to recognise the advent of the second coming. What is interesting in both prophecies is that they gave celestial signs that mark the advent of the second coming, and more amazingly, both list lunar and solar eclipses as the signs that would occur in support of the Messiah, announcing his arrival. As already mentioned, many minor signs accompany a major sign. The eclipses are the major sign from Almighty God, The other accompanying signs are there to help forewarn or show the general condition of the world at the particular moment when the Messiah announces that he has been appointed by Almighty God. And indeed, this was the case with the lunar and solar eclipses which Jesusas spoke about, and in the same way that a custom-made glove fits the person it was made for, this sign fitted perfectly the man who claimed to be the fulfilment of the second coming and to have been appointed by God Himself. But before I mention who that blessed divine person was, let us look at the evidence from the Holy Prophetsa on the eclipses as signs of the second coming. 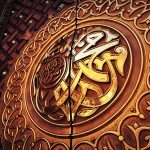 The Holy Prophet of Islam, Muhammadsa, also explained how the world could recognise that divine person who would be sent by Almighty God. But he did not give us a normal method; rather, he gave us an extraordinarily detailed, step-by-step prophecy which was fulfilled down to the last detail: an amazing event in the history of mankind. Before we study the prophecy, there are a few points to be understood about the Islamic source of information. First, there must be a claimant. Secondly, a particular period in the year is mentioned, and thirdly, there must be a precise moment in which a very specific historical event would take place. Therefore: if there is such a prophecy, and it was fulfilled in exactly that way, and in the exact same circumstances as it was prophesied to occur, then there is no possible way that mankind could ignore the claims of such a person or ignore these extraordinary signs; rather, one would have to seriously reflect on such evidence, to see if such a possibility is there. Now, in this saying of the Holy Prophetsa the eclipses of both the moon and the sun would be a sign for the advent of a divinely guided teacher and this sign would take place in the month of Ramadan. And finally, the lunar eclipse would happen on the first night (of the possible nights in which it could happen) and the solar eclipse on the middle day (of the possible days in which it could happen). Now this is extremely important: if any of the components of the prophecy were missing or had happened in a different way—if, for example, the lunar eclipse had occurred on the second night instead of the first—then the prophecy would have failed. 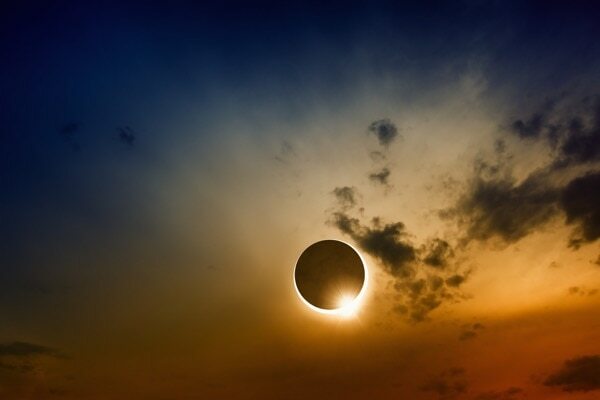 Similarly, if the eclipses had not taken place in the month of Ramadan, the prophecy would also have failed! Or if the claimant had stated that he was the Messiah after the eclipse had already occurred, then, too, the prophecy would have failed. The specific requirements of each component of the prophecy fell into place, one after the other, exactly as the Holy Prophetsa foretold it. This is what makes the prophecy so remarkable: it unfolded exactly as it was prophesied, and indeed, the prophecy in the New Testament, given by Jesusas, was also fulfilled, exactly as it was foretold. As soon as he made these claims of being the Promised Messiah and Imam Mahdi, he received huge opposition from the Muslim divines and from other religious scholars and leaders. And again, the New Testament has also mentioned that the signs of the second coming would include days of tribulations and then the moon would be darkened, and the moon would not give its light. 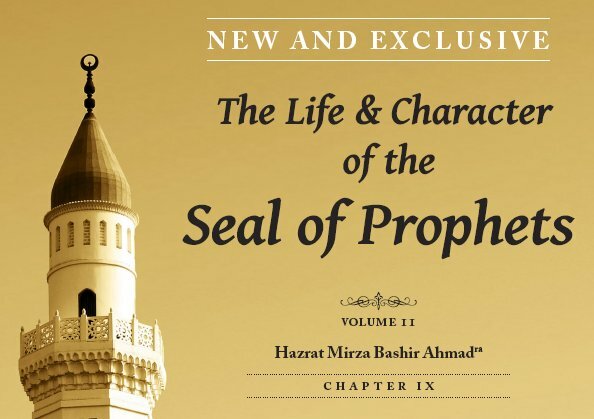 From 1891 through 1894, the Promised Messiah and Imam Mahdias had to endure taunts and sarcasm from both Muslims and Christians asking him to show them the signs that had been prophesied by the scriptural evidence to support his claim. 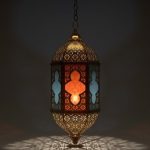 But then, in 1894, in the month of Ramadan, the prophecies began to unfold: the lunar eclipse happened on the first night, 13th March 1894; and then again, the sun was eclipsed during its middle day, 28th April 1894, also in the month of Ramadan. And we see that the eclipses happened again in 1895 in the Western hemisphere, ensuring that all of mankind had become a witness to the prophecies of the lunar and solar eclipse. What must be understood is that these eclipses cannot be controlled by man; they can only be controlled by Almighty God. And indeed, these eclipses were a great sign of the truth behind the claims of the Promised Messiahas. Plus, the accuracy of the prophecies made by Jesusas about his second coming, and by the Holy Prophet Muhammadsa, who gave a most precise and specific prophecy, which no man could have made up, or manipulated is a proof of the truth of the Messiahas. 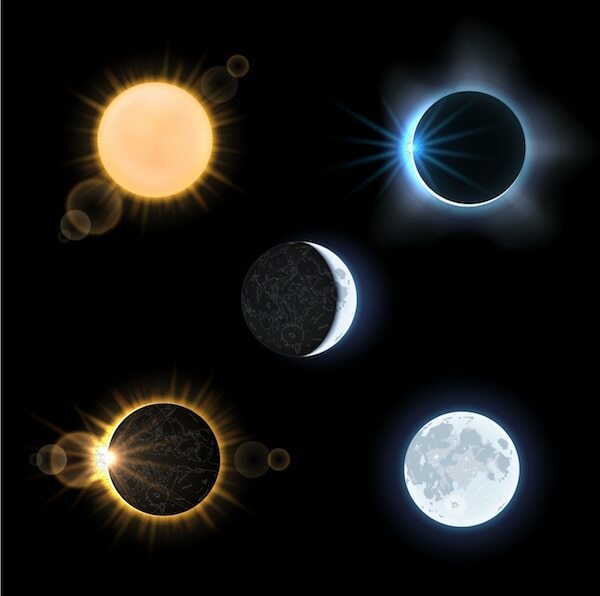 The celestial signs, the lunar eclipse and the solar eclipse can only be influenced by a divine being, Who has used such signs in the past to demonstrate the truthfulness of a claimant: and this can only be in the control of an external force. 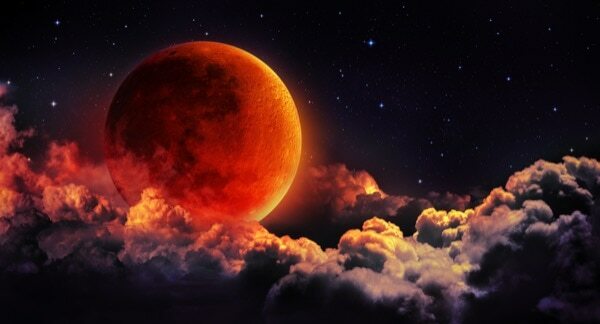 The blood moons have certainly done one thing: they have drawn the attention of humans to external signs such as the lunar and solar eclipses which warn us that something is about to happen. Otherwise, they are normally seen as a sign of the great truth of a claimant. In the case of the recent forecasts by people such as John Hagee, who was quite confident that something big was going to happen in 2015, and who was joined in this belief by many evangelists and even Muslim scholars, the question now is this: 2015 has come and gone, and Jesusas has not returned, so where is he? 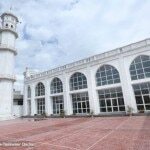 Again: in 1891, a claim was made by Hazrat Mirza Ghulam Ahmadas of Qadian that he was informed by Almighty God that he was the very fulfilment of these prophecies in 1894 both the prophecies made by Jesusas and Muhammadsa were completely fulfilled. Mankind should take them seriously. The second coming has already happened through the divine scheme of things, resulting in a huge movement to call humankind towards God Almighty under the flag of the true Islam, Ahmadiyyat. And this divine community was established by the Hand of God Himself. 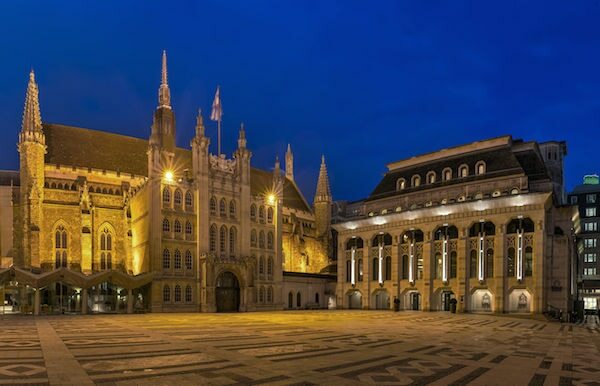 Today, this community is being guided by the successor of the Promised Messiahas, Hazrat Mirza Masroor Ahmad, Khalifatul Masih Vaba, who is the worldwide leader of the Ahmadiyya Muslim Community, and it is they who fly the flag of the true peaceful Islam and are consistently announcing that the “Messiah has come.” Out of the thousands of proofs given in the favour of the Hazrat Mirza Ghulam Ahmadas of Qadian, the Promised Messiah and Mahdi, the biggest were the celestial signs of the lunar and solar ecipses of 1894, which could only have come about through the Decree of God. About the Author:Ibrahim Ahmad Noonan is currently the Imam of Galway mosque and the Missionary In-Charge and National Vice President of the Ahmadiyya Muslim Community Ireland. He is a former Roman Catholic Christian who graduated from Trinity of St. David University of Wales. Also, he graduated from the Dominican Institute of Theology and Philosophy ITT Dublin. He is hoping to Pursue an MA in research. 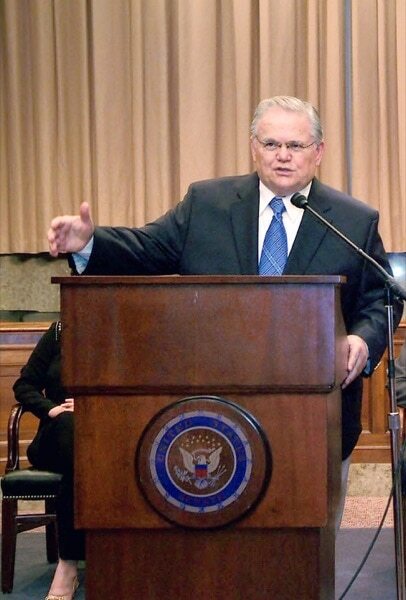 John Hagee, Four Blood Moons: Something Is About to Change (Brentwood, Tennessee: Worthy Publishing, 2013), 42. John Hagee, Four Blood Moons: Something Is About to Change (Brentwood, Tennessee: Worthy Publishing, 2013), 183. Mark Hitchcock, Blood Moons Rising: Bible Prophecy, Israel, and the Four Blood Moons (Carol Stream, IL: Tyndale House Publishers, Inc., 2014), 8. Luke, 4:17-21 (Revised Standard Version). Luke, 4:29 (Revised Standard Version). 2 Kings, 2:11 and Malachi, 4:5-6 (Revised Standard Version). Matthew, 11:14 (Revised Standard Version). Matthew, 24: 24-26 (Revised Standard Version). Matthew, 24:30 (Revised Standard Version). Sunan Dar Qutni, Vol. 1, p. 65. Izala-e-Auham, Ruhani Khaza’in, Vol. 3, p. 402. A. R. Dard, Life of Ahmad: Founder of the Ahmadiyya Movement (Tilford, Surrey, UK: Islam International Publications LTD, 2008), 227.